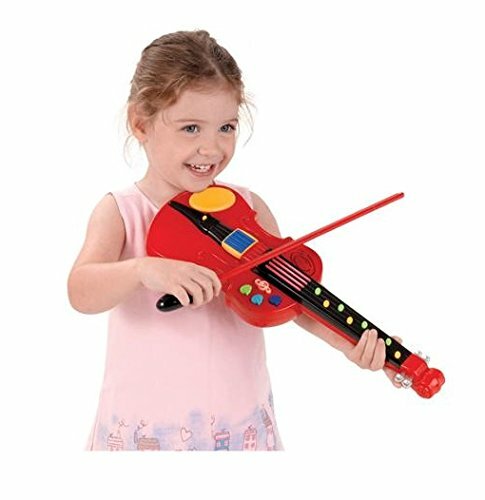 The Fun Fiddle Violin by Lil' Virtuoso plays some beautiful music and teaches your child fundamentals about bowing and note values. 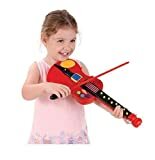 This electronic violin play 7 built-in classics by Bach, Mozart and Paganini and makes it easy for your child to create original melodies, too, just by pressing buttons. It also lights up and sounds off in 3 activity modes designed to foster a love of music. 17'L x 6'W x 2'H. Requires 2 'AA' batteries (included). Made of plastic.